The Gotham “Six” Series is a result of us upgrading our very popular Professional Series to the same security level as the Gotham. The reason for this change is because we can now offer you a selection of 14 different ARMOR PLATED sizes instead of only 3! 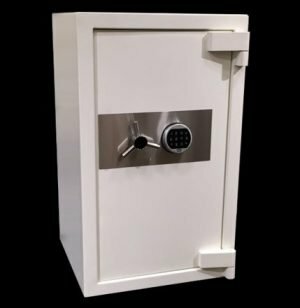 This series is our advanced line of heavy duty commercial quality burglary protection safes designed specifically for private home and apartment applications. 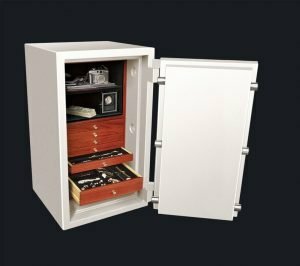 A combination of high security burglary protection features and substantial weight characteristics make these an appropriate choice for the protection of valuables of concentrated value. They were designed primarily for the organization of jewelry, watches, coin and other collections, gold bullion, cash, etc. For the protection of paper documents, this series provides at least one hour of fire protection, more than adequate for private home use. 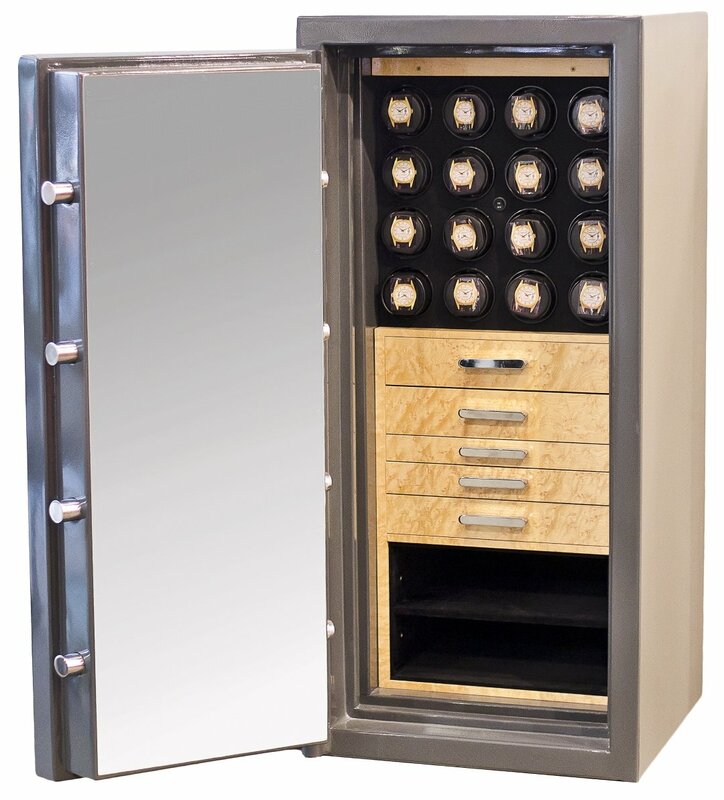 In addition to the burglary protection composite barrier material in the walls and door, all sides of this safe are lined with hardened drill and attack resistant plating that makes up a formidable barrier to attack by sophisticated burglary tools. We maintain an inventory of models hinged on the right and left side so you can select what is needed to meet your particular requirements. 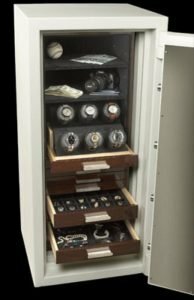 It’s best to find a location where the door of the safe can open at least 135 to 180 degrees, although our 16″ internal depth models can sometimes work well with the door opening only 90 degrees. This comes into play especially when safes are fitted internally with jewelry and watch drawers. 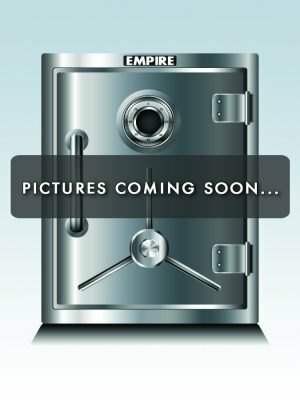 We are prepared to help you determine the best and most accessible location for your safe. The most popular lock selected by our clients is a UL listed commercial quality digital lock (battery powered). 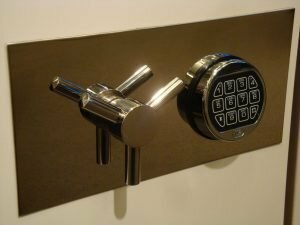 This lock enables the user to set their own personal 6-digit push button code while allowing them to open the safe within 3-5 seconds. Closing the door and turning the handle automatically locks the safe. This lock helps make your safe become an integral part of your daily routine, so valuables can be protected at all times. Locks are protected from attack by a drill resistant hardened steel plate plus a tempered glass plate (a feature found in our high security jewelers safes) connected to a spring loaded mechanical re-locking device that secures the boltwork in the locked position should the lock be attacked. The weight of your safe plays an important role when protecting valuables in the home. For private home and ground level installations, we strongly recommend that you consider a safe that weighs at least 500-750 lbs. 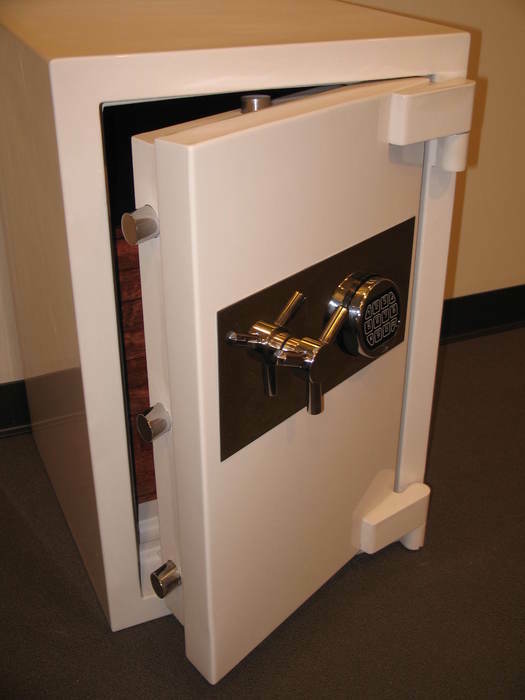 (The majority of the safes we install residentially weigh from 600-1,300 lbs.) 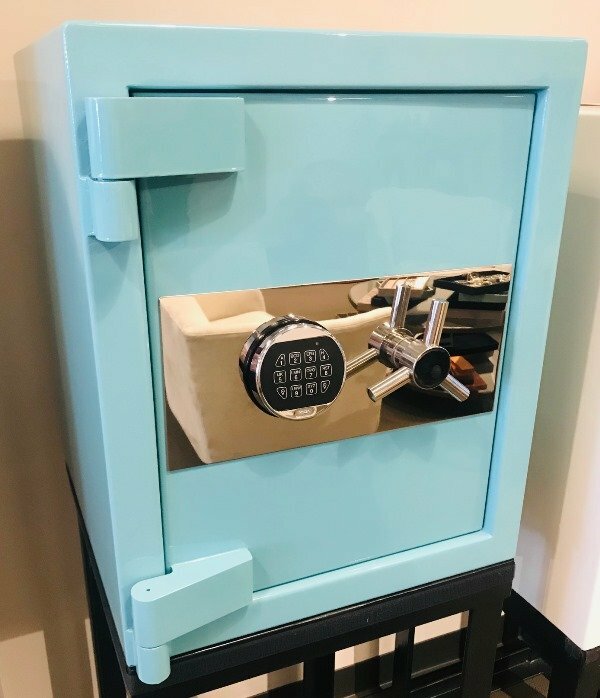 In addition to the security features offered by our safes, the heavier a safe is, the less likely it will be able to be removed (by burglars) from the premises. 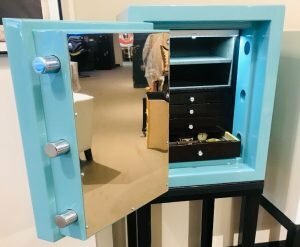 As a rule, safes weighing less than 750 lbs. should be anchored to the floor. 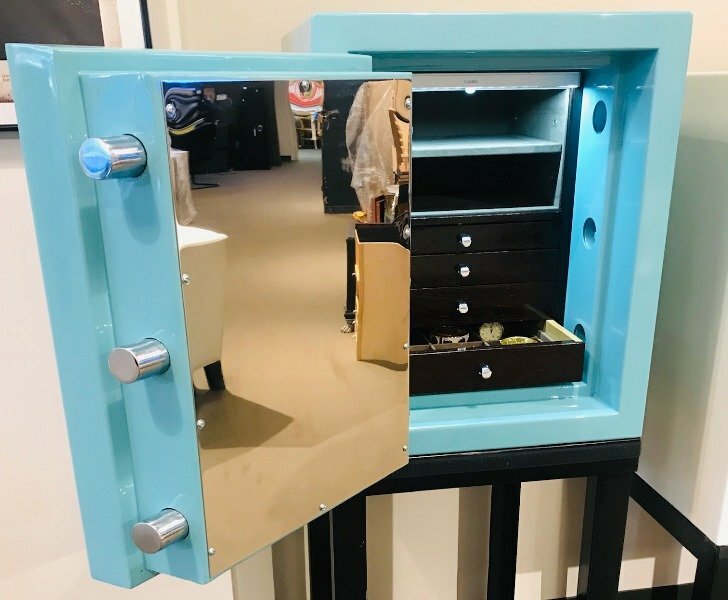 The door of these safes can be outfitted with a mirror finished 3-spoke capstan handle, fascia and service panel available in stainless steel and brass for an additional cost. This series is available with our standard ivory color with a satin finish, but can be painted to match or complement your color theme. Satin and high gloss finishes are available for an additional cost. 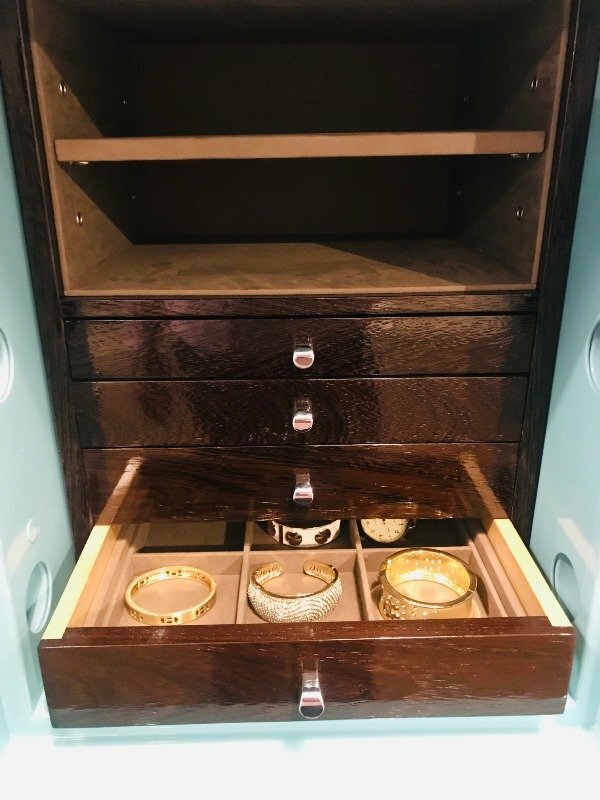 We offer a complete selection of jewelry and watch inserts, drawers, drawer finishes and pulls, to fulfill most storage and organizational requirements. Since each client has specific needs, we customize the interior to meet their particular requirements. Interiors are available in a variety of wood and painted finishes. 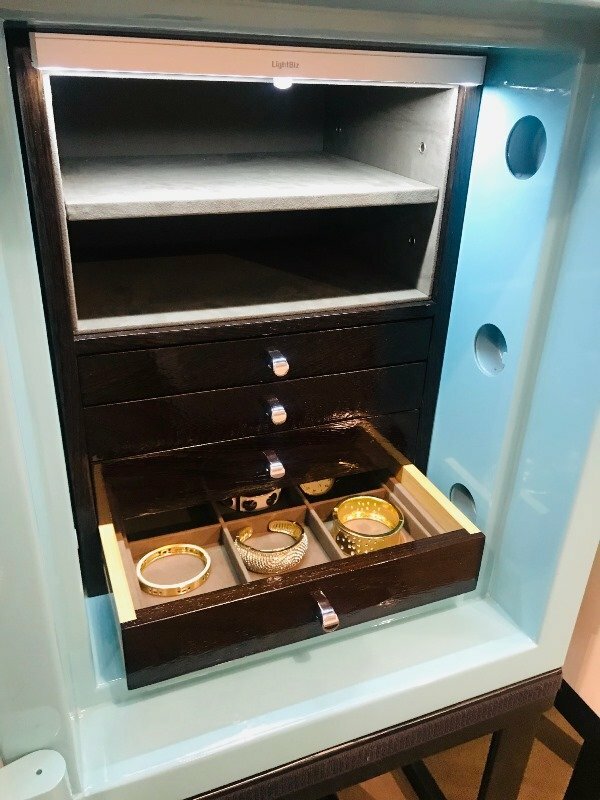 A wide selection of jewelry and watch inserts are available with standard layouts (custom configurations is our specialty). We also offer custom height drawers, pull-out shelves and compartments for the storage of cash, coin and other collections, watchwinders, artwork, paper documents, etc. Internal lighting is also available with an electrical connection. Stainless steel fascia panel, 3-spoke capstan handle and chrome plated digital key pad.